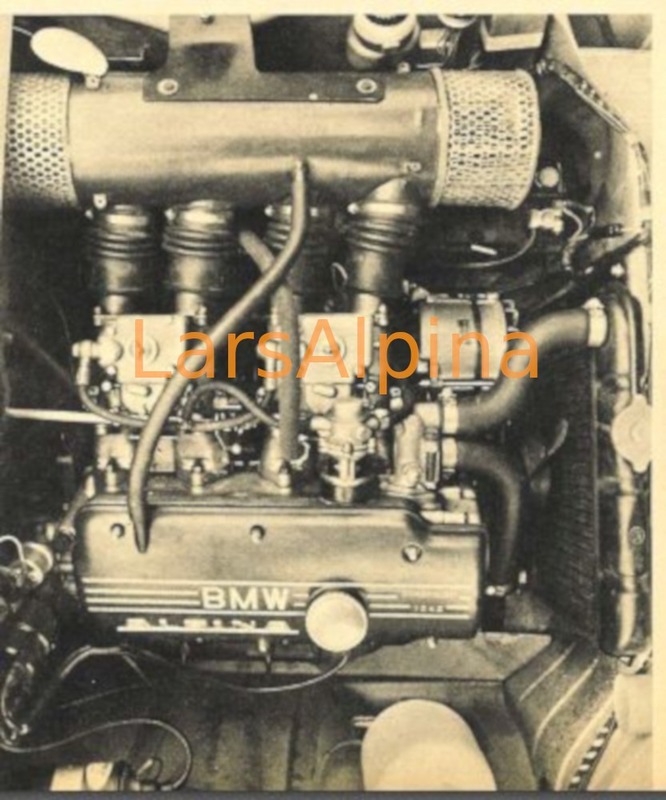 Here is a used but complete Alpina kit like the one in the publicity photo with a pair of Solex sidedraft 40 and the neat one piece intake for 3 Series. The kit survived intact. @Flunder Thanks for all the pictures! These are a great reference for my period correct build. 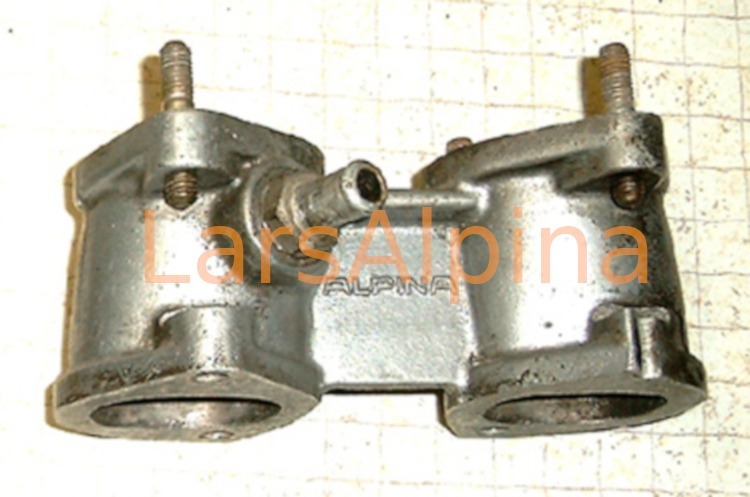 I have read that Alpina used the factory linkages from the 1600ti and 2002ti, but these look more like the common 'interlink' used with Webers. I would not be surprised if they used both. For actual use I think I would like the later one-piece manifold and the DDHs, but the older equipment looks better on my '67. Actually Bovensiepen's racing experience convinced him to use the center pull cable linkage as the most reliable. i like the feel of the OEM BMW ti linkage better but that view was not shared at Buchloe where their thinking aligned with the old endurance racer's mantra "in order to finish first you must first finish." Before BMW even made their first "Ti", the 1800ti in 1964, Alpina made its first kit for the BMW 1500 to bring it up to par in horsepower with the newly introduced BMW 1800 in 1963. 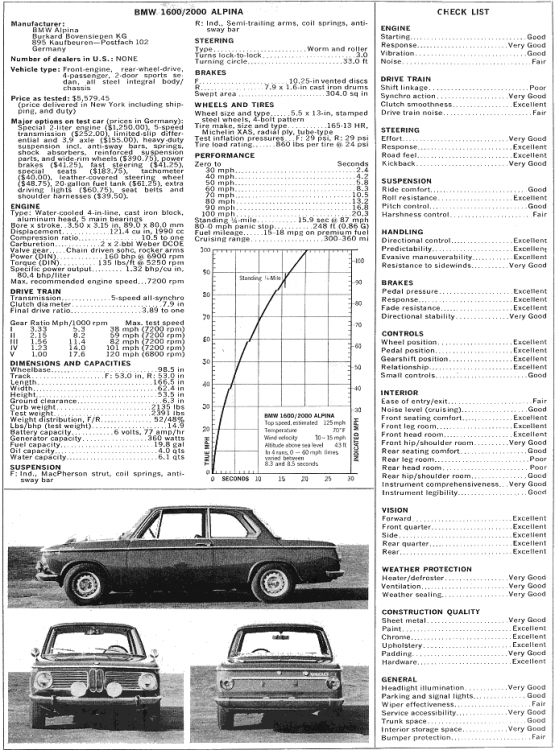 When the Neu Klasse 1600 4 door came out , they applied a similar kit for that car and later to the BMW 1600-2. The early kits lacked the cylindrical air cleaner box since it wasn't yet available. Ben of 2002 AD fitted one of these very early kits to his BMW 160 Cabriolet. They were jetted and set up for the otherwise stock motors. I have the 3rd edition of Gerd Hack's period piece on tuning called "Autos schneller machen", originally written in 1968. 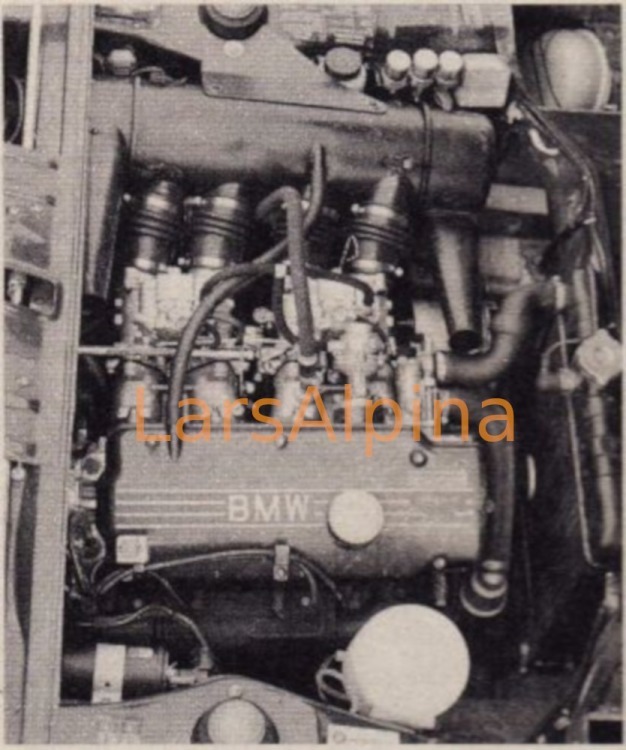 In my edition from 1970, there is a picture on pg 285 from an Alpina brochure or ad (it only says that the Bovensiepen Company offers equally useful/expensive accessories), which oddly enough shows Weber DCOEs mounted on a complete engine and what appear to be Solex DDH's lying loose next to a cylinder head (but with a one-piece manifold), so both seem to have been on offer in parallel. 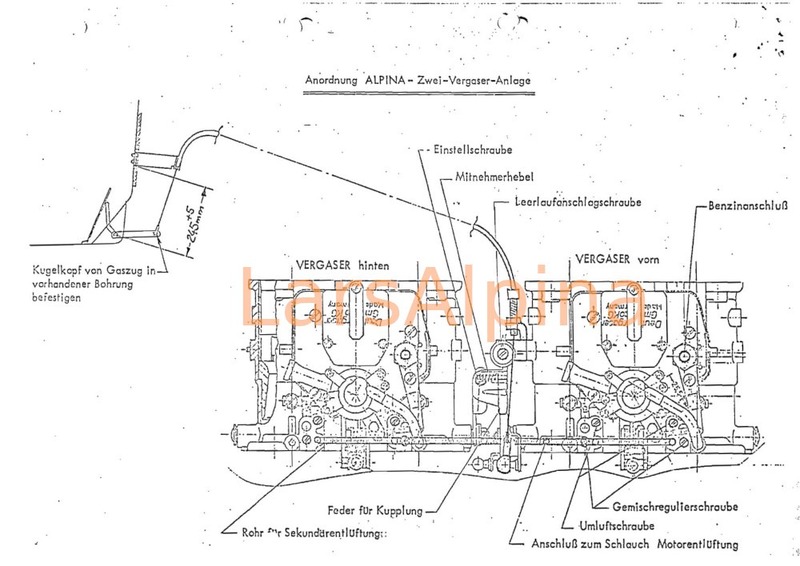 In the text though he writes that "Bovensiepen verwendet für die Alpina-Anlagen ausschließlich Weber-Vergaser" or Bovensiepen uses (present tense) Weber carburetors exclusively for the Alpina Induction Systems. 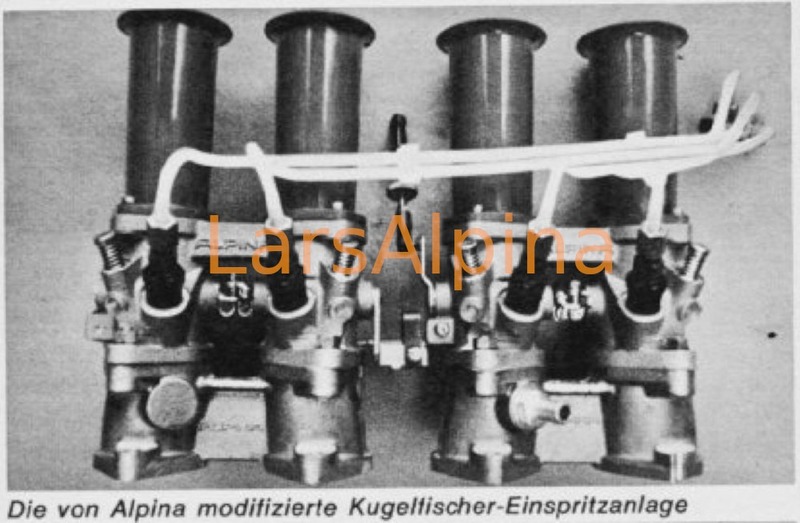 He goes on in German to say that Schnitzer was producing a Solex setup, which could be purchased via Koepchen (for 980DM German marks). These are all pre-Kugelfischer times, none of the pictures in the chapter show the one-piece manifold on a head. 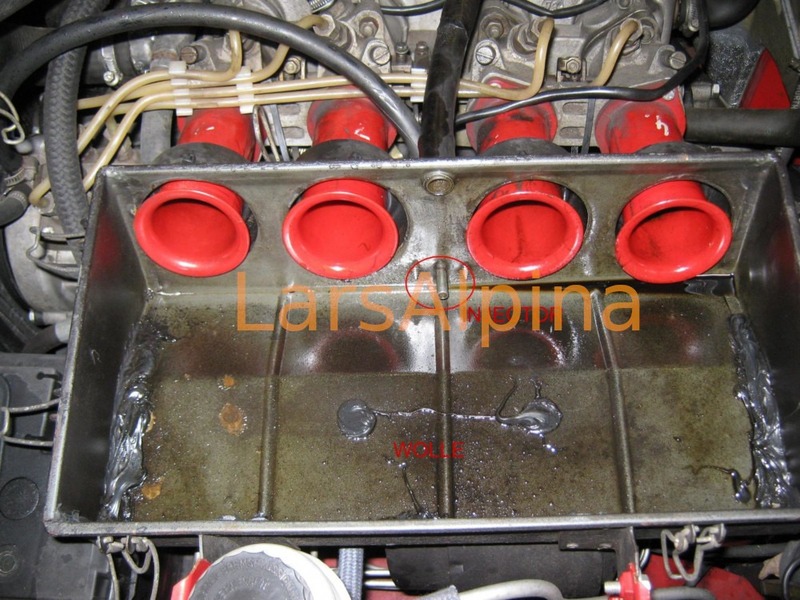 The pictures are not great, they are B&W but I think the hoses coming out of the carburetor bowl covers on the ad point to a Solex. If so, probably they would not be marketing the PHH which BMW was selling at the time. I don't have Hack's book on the 2002, so I don't know if the details there are juicier and the pictures better. That is an interesting sheet, with all the items to up a 6v 1600 to a real cruiser. Interesting that they kept the narrow tires, but put them on 5.5 inch rims. I have XAS on 5.5 inch rims and they look odd. Looks good in the picture though. Next step then was the curved one-piece manifold, that in the end also didn´t produce 100% satisfying results, why most of those were machined to fit for carbs and used with those. 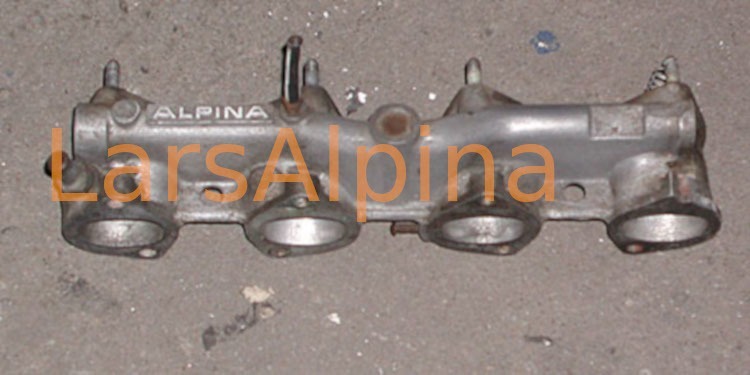 The A4 system ended up with the straight one-piece Alpina manifold. And I´ve never seen the incorporated pipe being used for water. 3. 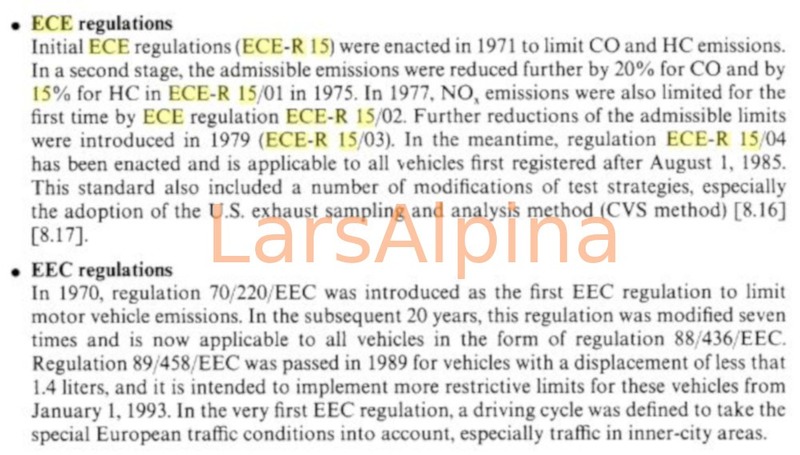 Concerning the use of Weber or Solex dual carbs I´d first like to point on the fact, that the emission regulations were only relevant for cars meant for street use in Germany/EC. Cars for racing purposes or other markets might have been equipped differently. In about every then-time german Alpina price list one can find products marked as "export only". which also delivers some explanation in the accompanying text. 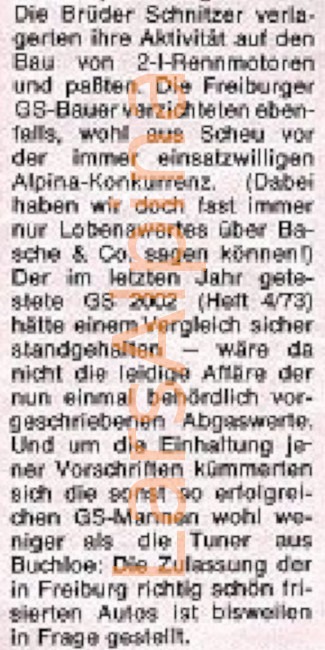 The article initially was planned to be a comparison between Alpina, GS and Schnitzer. 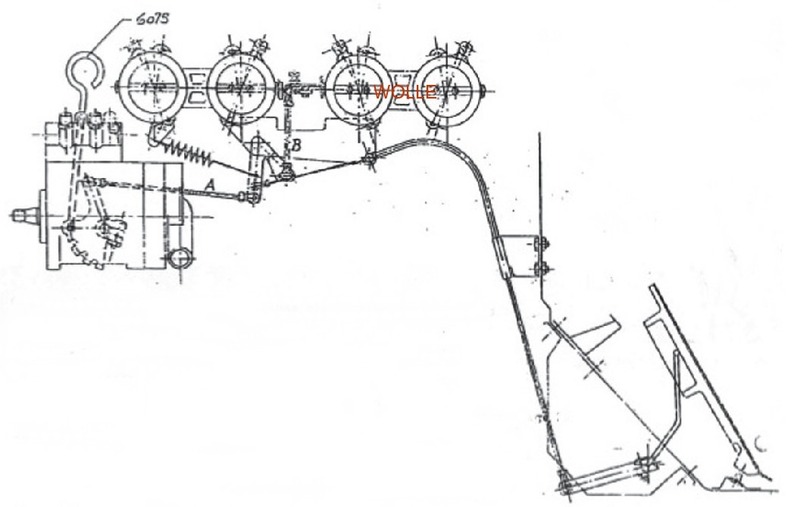 But Schnitzer refused to send a car, because they claimed to be to busy with building their 16V race engines. GS refused to send a car, because of the problems they´ve had with getting their cars street legal based on emission regulations. 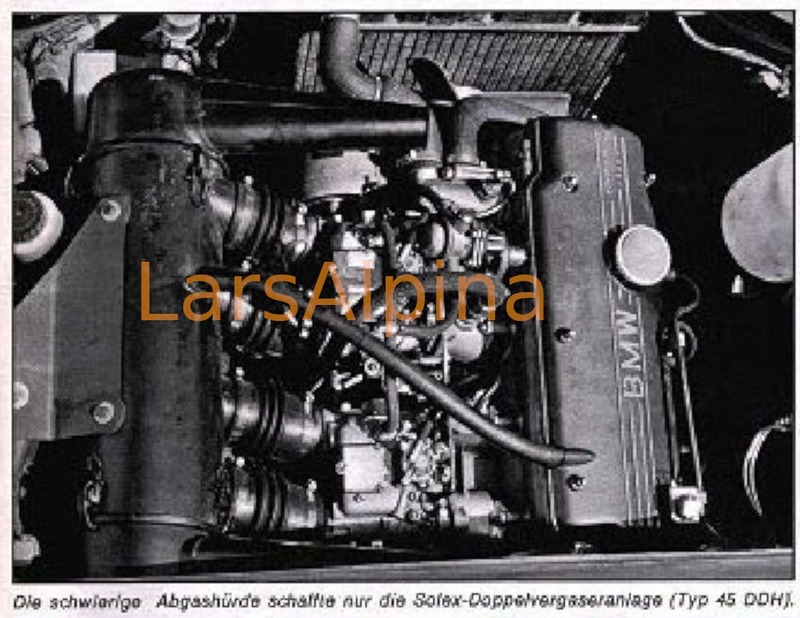 Second part tells that Alpina had to switch to Solex carbs and had to undergo prolonged testing together with Solex development department before they´ve managed to meet the limits with simultaneously keeping power output and driveability on the desired level. 4. 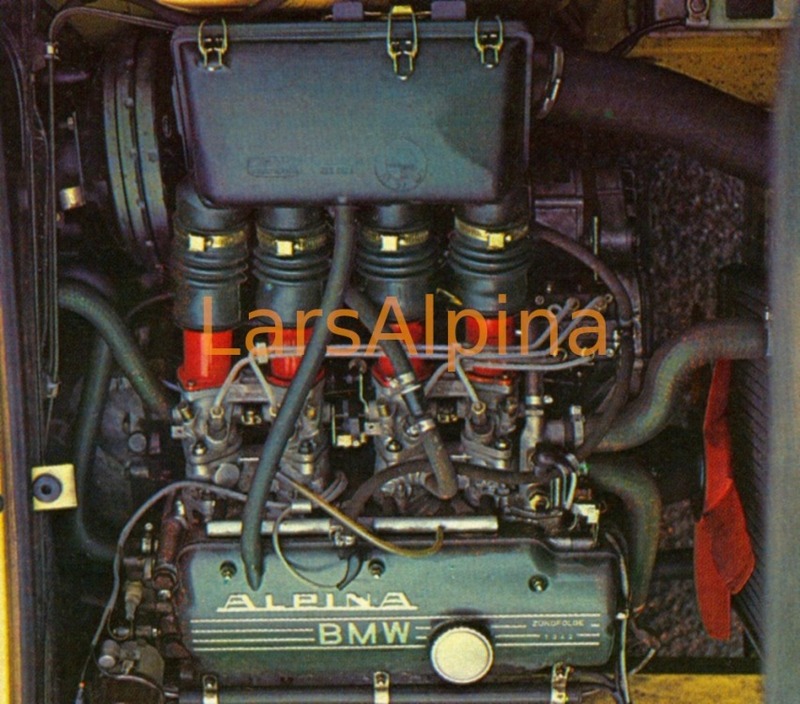 German carbed E21 M10 Alpina cars FWIK always came with Solex DDHs and later ADDHEs. AFAIK they didn´t use the TI can air cleaner as it didn´t fit to the different wheel arch no longer. Instead of that they´ve used the ellbows they already had from M30 big sixes and made a new triangular air collector for M10. 5. For the following I don´t know too many english terms. As the question was already german anyway I will write in german, too. Im Rahmen europäischer bzw. 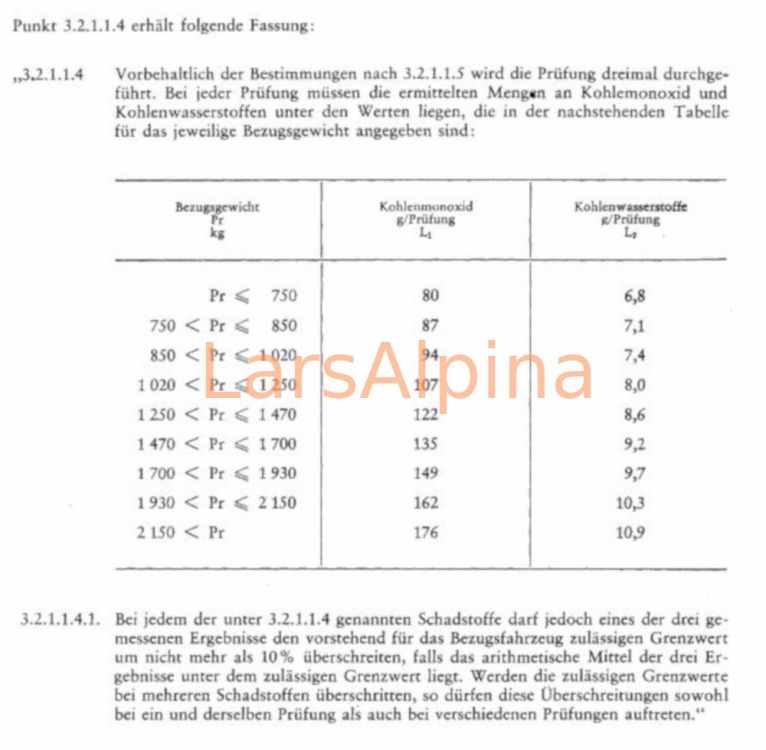 internationaler Gesetzgebung wurde Ende der 60er begonnen, die Abgaswerte zu begrenzen. 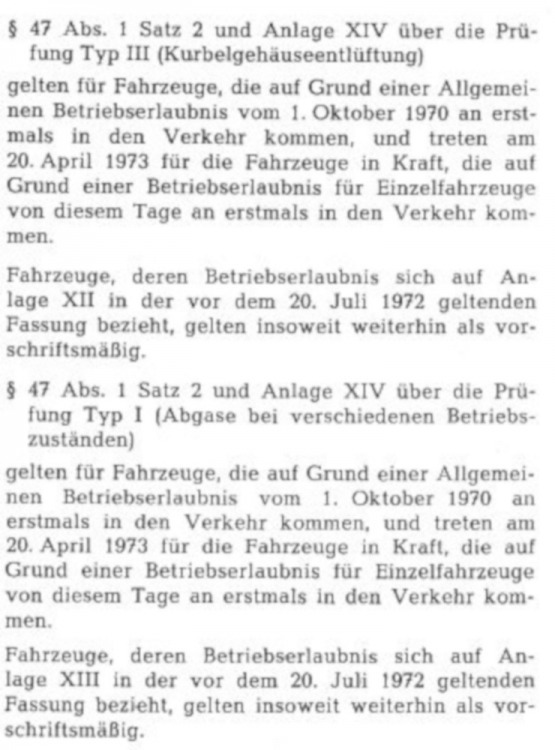 In einem Lehrbuch hatte ich mal diese recht gute Zusammenfassung gefunden. und mußten dann jeweils in der deutschen StVZO umgesetzt werden. Entscheidend bei den Alpina-Autos sind die Art der Betriebserlaubnis und die Übergangsfristen in §72. 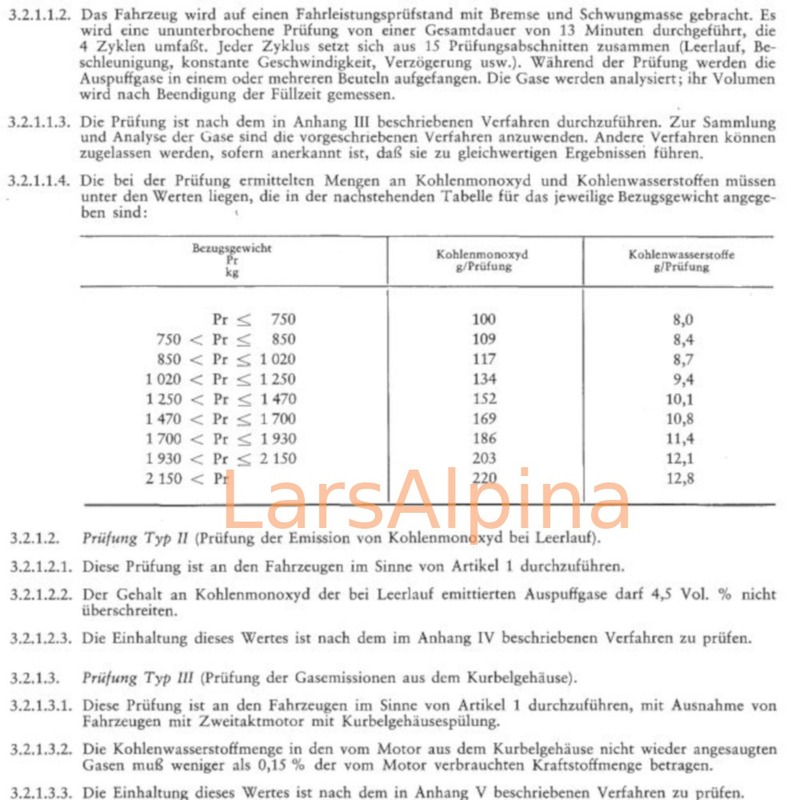 Mit der nachträglichen Eintragung nach §§19 und 21 StVZO dürften Alpinas unter "Betriebserlaubnis für Einzelfahrzeuge" fallen und deswegen bis zum 20. April 1973 Schonfrist gehabt haben (wie alle anderen Tuner auch). Die genaue Umsetzung und evtl. nochmal gewährte Karenzzeiten sind in unterrangigem Recht geregelt, das im Verkehrsblatt veröffentlicht wurde oder als Arbeitsanweisung direkt an die Prüfstellen ging. Darauf habe ich aber keinen Zugriff. I had a few 2002 Alpina/Heidegger cars (street and race, Alpina Einzeldrossel or Flachschieber) and all had cable linkage. 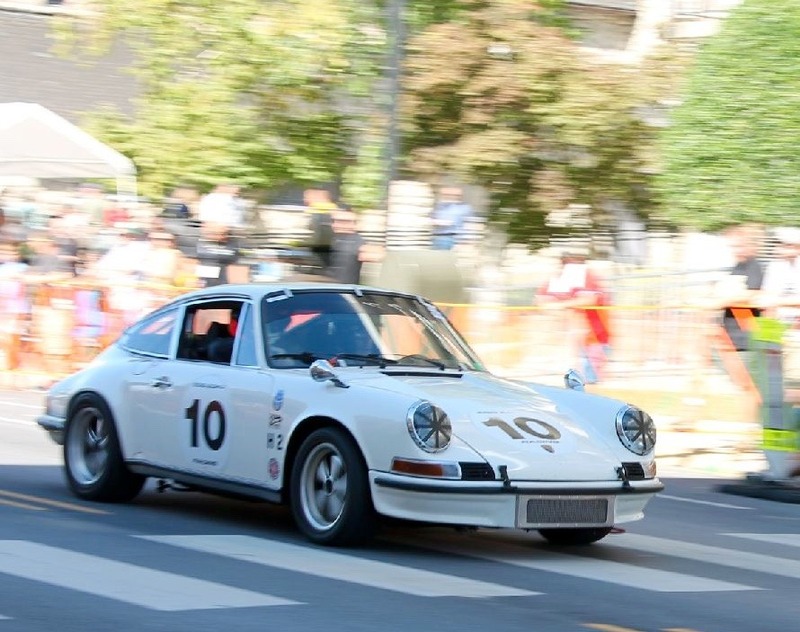 But all of these cars were modified after Jan 73.
discussion is on carbs, isn´t it? Just wondered, why they didn´t put it in quite a number of the cars they gave to the press. 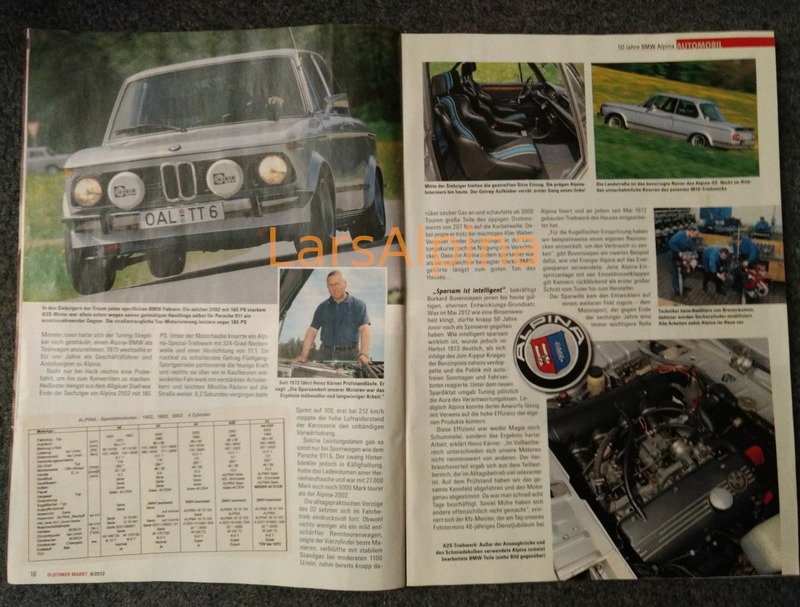 Thank you both so very much for your time and presenting the above detailed drawings and Alpina history from this important time. It is a great help for all of us. I think that the press cars had traditional mechanical linkages as they were up to the rigors of street driving. If you consider, and I note you both have racecars, the amount of force on a throttle linkage in the heat of battle is significant as your leg is the biggest muscle group in your body, and racing increases adrenaline production. 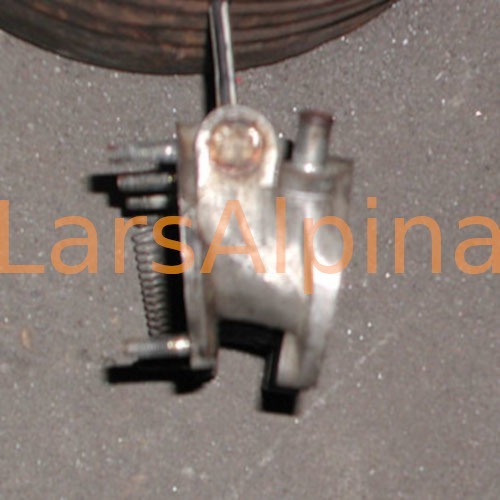 The throttle linkage is a relatively delicate thing compared to steering, brake and clutch assemblies. 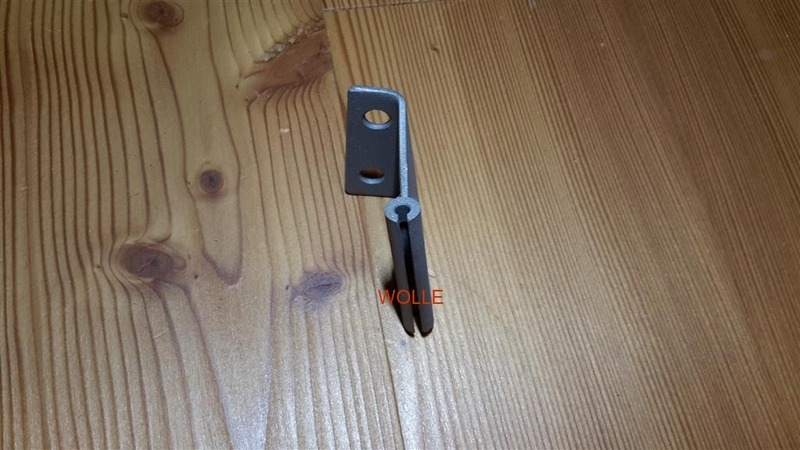 Over the years I have found Cable linkages for weber carburetors to be safe and dependable, but occasionally had trouble with mechanical linkages. My Porsche 911 throttle stuck wide open in third gear going into a 90° corner at the end of the straightaway, with luck and some skill I did not crash and can write this note today. 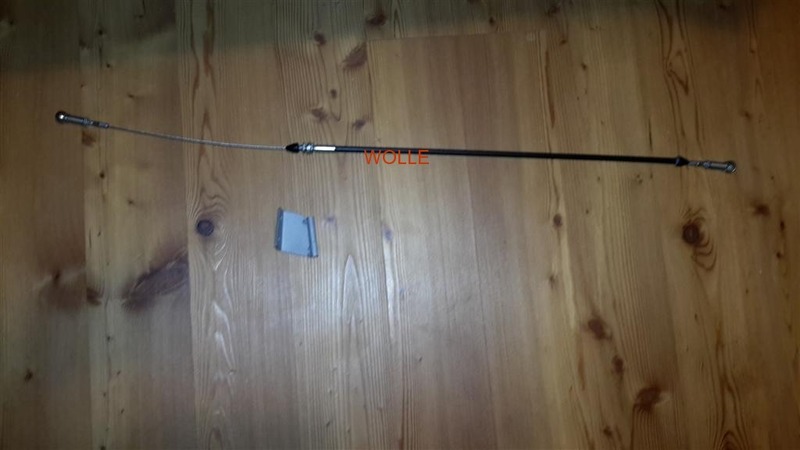 I now have a Full throttle stop nut welded onto the foot pedal linkage of my 1800 TISA so that it hits the floor and Does not transfer force into the Cable set up. It Is not so pretty-but I only had to have one near-death experience to appreciate the importance of perfectly set up throttle linkages. Thank you both again for Sharing your knowledge and giving the German perspective on these cars that we all love so much.